My rating: 8.5/10, Very good watch, good quality affordable Rolex submariner homage. 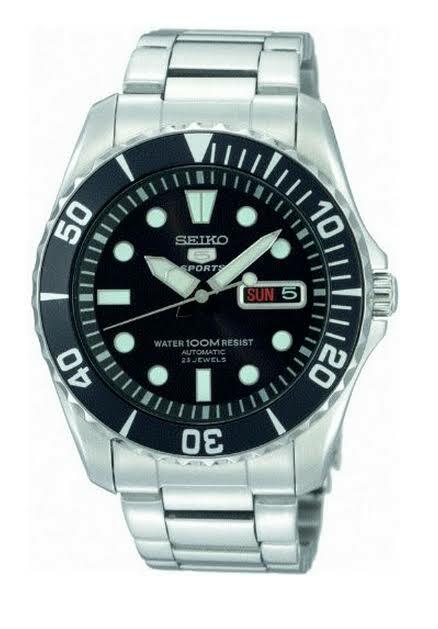 Seiko 5 SNZF17K1 watch is part of Seiko’s sport series of watches, it’s a homage to the popular Rolex Submariner. 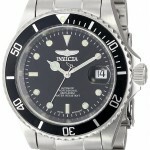 For many this is exactly what they are looking for, an affordable alternative to the popular Rolex watch. As far as build quality goes this watch can stand proud. It uses a Japanese 21 jewel automatic movement and features high quality luminous markers, screw down crown and one of my favourite features the see through case back so you can view the watch movement. You may also like my Seiko SKX009K2 Review. Band Stainless steel strap, standard length, 22mm width, fold over clasp with push button deployment. Dial Easy to read, high quality luminous hands and markers. Day and date display. Hardlex crystal, a specially hardened mineral glass for protection against scratches. Movement Japanese 21 jewel automatic movement. Analogue display. Luminous hands and markers make it easy to use at night. Features a uni-direction bezel and screw down crown. Automatic mechanical watches aren’t as accurate as quartz movements. Seiko 5 SNZF17K1 watch has been interesting to look at today, I like the overall design of the watch with that cool Submariner feel. 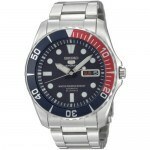 Most regular readers will know I rate most of the Seiko 5 watches quite highly and this one is no different. 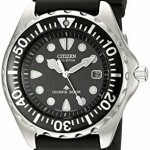 It’s easy to see why it’s one of Seiko’s most popular watches with popular design and affordable price. Hope you enjoyed this Seiko 5 SNZF17K1 review. Find more watch reviews below.